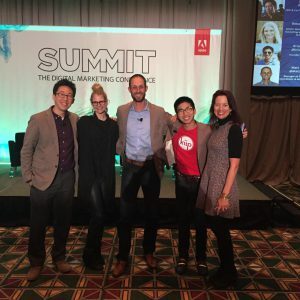 I just had the pleasure of leading a panel discussion with four brilliant young Millennial marketers. We discussed the innovative ways they connect with both their teams and their markets. How do they take creative risks while still being mindful? And what are some of the myths that surround Millennial marketing? The feedback from the panel has been incredibly positive (some even found it a bit controversial). I’ll be blogging more about our discussion—and Millennial marketing itself—in the coming weeks. 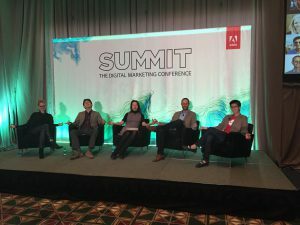 Adobe’s CMO.com has also posted an article about the panel: “Advice From Four Millennial Marketers”. It includes great insights for any CMO… including one big mistake to avoid when marketing to Millennials. You can read the article here. As always, I welcome your comments and feedback. Do you agree or disagree with the insights shared?